ORLANDO, FL -- Brenda Lee Marquez-McCool was dancing with her son Isaiah Henderson at Pulse nightclub when shots rang out over the blaring music. Instead of running away, she threw herself on her son, shielding him from shooter Omar Mateen. She saved her son's life but lost her own. 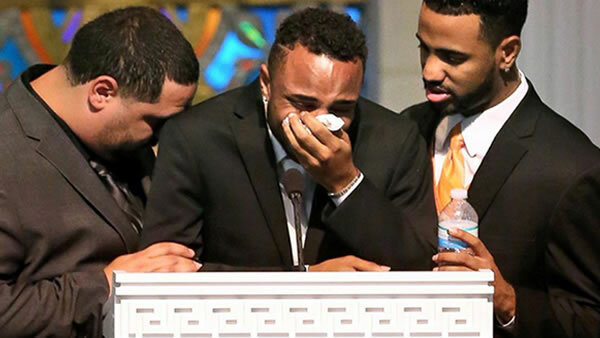 At her funeral at the First United Methodist Church of Orlando, Henderson, 21, broke down as he paid heartfelt tribute to his mother, almost unable to stand while he spoke.